HR دن Cartoon Exhibit. 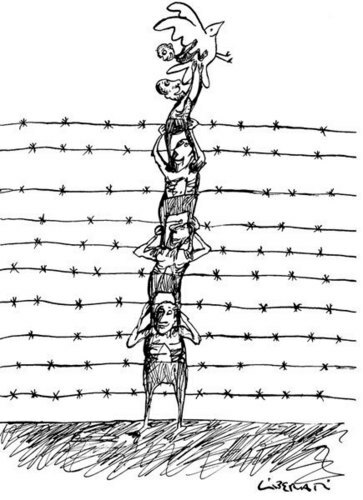 These thought-provoking cartoons illustrate the meaning of the Universal Declaration of Human Rights and conveys the importance of upholding the human rights and fundamental freedoms set forth in its thirty articles.. Wallpaper and background images in the Human Rights club tagged: international human rights day united nations cartoon exhibit barbed wire flying illustration december 2008. 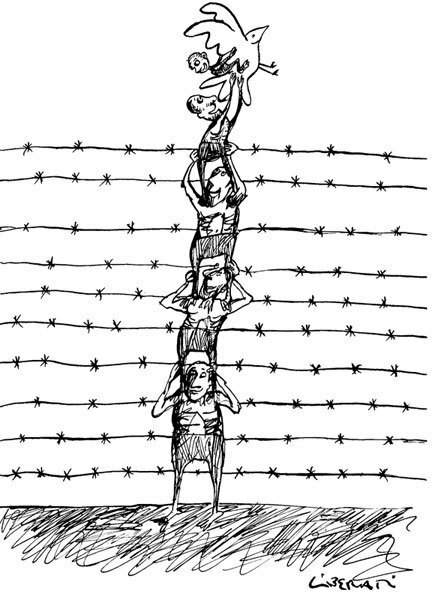 This Human Rights fan art contains chainlink باڑ and چینلانک باڑ.